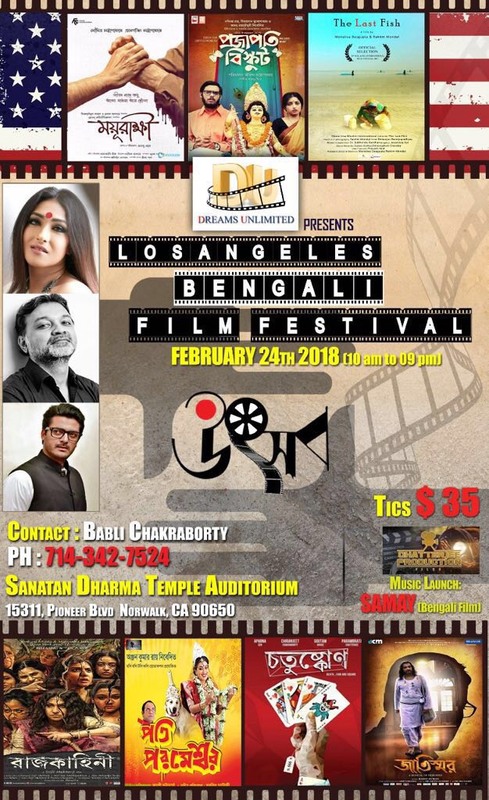 Now that Saraswati Puja is over, we have reached the end of our events calendar for this Bengali year. The next event wouldn't be until the Annual Picnic in the summer so why not get together one last time this year for the festival of colors? 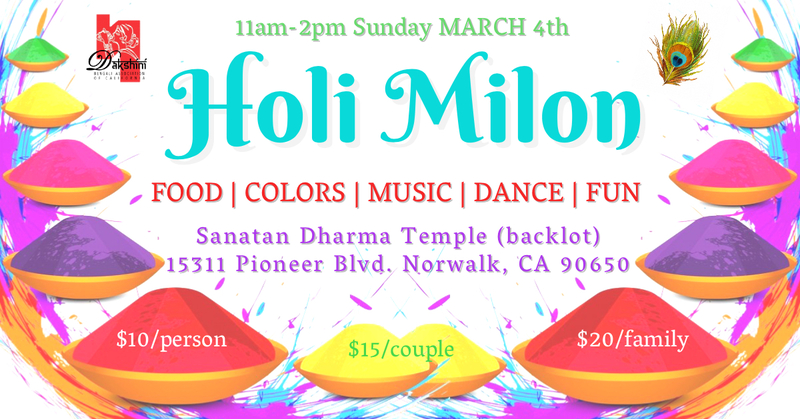 Join Dakshini for Holi Milon on Sunday March 4th at the Sanatan Dharma Temple backlot from 11am-2pm. Not planning on coming? Come anyways and stop by Little India for groceries after! The suggested donation is $10/individual, $15/couple, and $20/family. 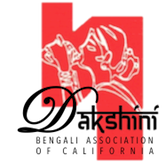 Those interested in participating a group dance, please contact Debapriya Bhattacharya: (310) 436-5334 / debapriyab76@gmail.com. Rehearsals will begin this weekend! Please click below to see the tentative dates in our upcoming Events Calendar for 2018-2019. We will be updating you all on Membership/Sponsorship details very soon. The Petri Paint Workshop is a class to learn more about biology and bacteria in a fun, creative way. We will be painting with brightly colored, genetically modified bacteria. Our age restriction for the event is 7+ years. The program can accommodate 20 kids only and has reached maximum capacity.